With her Redemption Tour kicking off , Tori Forsyth has announced her debut album Dawn Of The Dark (Produced by Shane Nicholson) It will feature the second single ‘In The Morning’ and along with first single ‘Grave Robber’s Daughter’ and the previously unreleased ‘Kings Horses’, available as an instant track with album pre-order. 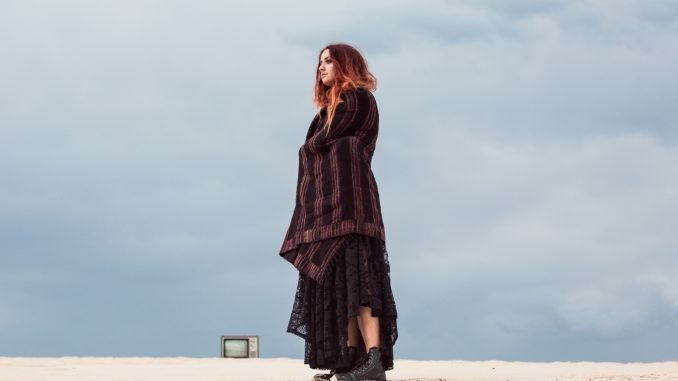 The alt-country artist who will also perform at this year’s SXSW Festival, has also shared the video for the single which even though was a last-minute addition to the album, still beams with honest songwriting and musical maturity far beyond her 22 years. Directed by Brad and Rick from Spilting films, the ‘In The Morning’ video is Tori’s second collaboration with the duo who perfectly capture her gritty persona and complex song-writing subject showcasing dual personalities across a dazzling dreamscape. The filmmaker’s transport us through twisting mazes and deserted dunes, both located on the fringes of Newcastle Australia.